Effective Tennis Psychology. Improve Your Mental Game. Novak Djokovic’s mental training has been a key factor in his recent return to form. His mindfulness-based approach to the mental game has helped the Serbian get through a difficult two years dogged by injury, which saw him take 6 months off the tour and undergo elbow surgery. Coupled with rumours of problems in his personal life, and a general loss of motivation, Djokovic had hit a career crisis that many felt he would never recover from. Like his arch rivals Rafael Nadal and Roger Federer before him, Djokovic has emphatically proven that his career is far from over. The Serbian’s stunning win at Wimbledon last month ended a two-year Grand Slam title drought, and quashed suggestions that he could no longer compete with the best in the game. His win in Cincinnati last weekend means he is the first man to win all of the Masters 1000 events. This is an achievement that speaks to an amazing level of consistency and mastery across all surfaces, at every stage of the tennis season. It also speaks to an extraordinary level of mental strength. Djokovic first revealed that he was using a mindfulness-based mental training approach in his 2013 book ‘Serve to Win’. He described his daily mindfulness practice as just as important as his physical and on-court training. Djokovic says that mindfulness has helped him to overcome fear, anger, worry and self-doubt. He explains that mindfulness has enabled him to focus fully on the present moment, notice negative thoughts and emotions and allow them to pass. This mental approach helped Djokovic overcome the inferiority complex that held him back in his encounters with Federer and Nadal prior to 2011. He showed them too much respect, and engaged too much with his mental idea that they were superior players. In reality, Djokovic was also a great player, but it took a change in mental approach for him to realize his potential against his two main rivals. Mindfulness training gave Djokovic the power to recognize difficult mental experiences, accept them, and stay focused on playing his game. He now holds winning records against both Federer and Nadal. Mindfulness has also helped Djokovic keep his fiery temperament under control. Always an emotional player, it’s not unusual to see Novak get angry on court, perhaps due to a disagreement with the umpire, or as an expression of frustration if his standard drops in a match. Mindful mental training has enabled Djokovic to move on quickly from such moments of anger. He doesn’t get rattled for long. He allows his anger to pass and refocuses on the task at hand. Mindfulness teaches that anger is not something we need to resist. We need to be aware of our anger, see it clearly, and then choose a helpful way forward. I often use Djokovic as an example in my client sessions. Like all of us, he’s not perfect, he gets angry, perhaps more so than many other players. But he is able to refocus quickly. He doesn’t allow anger to linger and lead to poorer performance. Being mindful means not getting carried away by emotion. It doesn’t mean you have to be placid, inexpressive or unemotional on court. The important thing is to be able to notice and acknowledge your emotions, whatever they are, and refocus quickly on the task in hand. Djokovic’s mindful approach has helped him through his two year slump, where injury and personal issues prevented him from playing to his potential. He has been patient, tolerating sub-par performances and defeats this year as he regains his rhythm and physical fitness. There is a mental lesson in Djokovic’s approach and experience for all players. Every tennis player will go through slumps and loss of form. Injury, and recovery from injury, is part of the game. Varying levels of motivation across a career are normal and to be expected. In addition, we all have personal lives off the court which can affect how we perform on court. We need a consistent mental approach to ground us through these inevitable ups and downs. Tennis-specific mindfulness enables us to maximize our potential whatever experiences we’re going through. It enables players to stay calm during rocky periods in their careers and it ensures that a return to top form will come as quickly as possible. Crucially mindfulness enables players to deal effectively with the challenging thoughts and emotions that occur when injury strikes or when motivation dips. By noticing and allowing difficult mental experiences, rather than engaging with them, players can avoid exacerbating injuries and ensure that losses of motivation are short-lived. Djokovic has remained dedicated to his mindfulness training. It has helped him regain top form and once again be a strong contender in every tournament he plays. If you want to transform your mental approach to tennis, then I offer coaching via Skype or phone. Feel free to contact me to arrange a free, no obligation 30 minute Skype or phone coaching session. 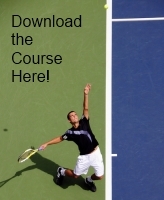 You can also download my Mindfulness-Based Tennis Psychology audio course and book here. This entry was posted in Djokovic Mental Training, Mental Toughness, Tennis Psychology and tagged Djokovic, mental toughness, mental training, mindfulness, tennis psychology on August 26, 2018 by admin. Experiencing difficult emotions is normal in tennis. It’s also normal to want to control or get rid of those emotions. The problem is that trying to control emotions doesn’t work. In fact it’s often counterproductive. By attempting to control or eliminate uncomfortable feelings, we’re actually putting fuel on the fire, and compounding our difficulty. The only effective way to control emotions is to give up on trying to control them. This may sound counterintuitive, but I’m going to explain in this article why this is correct, and the steps you can take to deal more productively with emotions on court. Players often ask me how they can get rid of troubling emotions during a match. How do I stop feeling unhappy about trailing in a match? How do I overcome feeling disappointment when I make a bad mistake? How do I avoid nerves on big points? I explain to them that there is no need to get rid of any of these emotions. They’re normal responses to the inevitable events that occur in a match. If we make a series of mistakes, it’s normal to feel frustration. If we get a bad line call, or get distracted by someone shouting in the crowd, it’s normal to feel anger. If we’re serving for the match, it’s normal to feel nervous. Anger, frustration, sadness, anxiety and nerves are all common experiences and we should expect to feel them to a lesser or greater extent in every match we play. Tennis is an unusually mentally challenging sport, largely as a result of its unique scoring system, which constantly puts us under pressure, with players poised to take all or lose all at regular intervals. The game’s very structure continually pushes our emotional buttons. Of course, we can also expect to feel joy, excitement, satisfaction and other positive emotions in tennis. A tennis match is usually a rollercoaster experience of different feelings and thoughts, some positive, some negative. Accepting this fact is the first step to an effective approach to our mental experience on court. We should not expect to feel good all the time on court. One of the keys to developing mental toughness in tennis is learning how to play well when we’re not feeling good. This is one of the least understood skills of all the great players – the ability to play well and win, even when you’re not feeling good. When we accept that difficult emotions are normal and can’t be avoided in a tennis match, then we no longer need to feel surprised by them or that something is wrong when they occur. Instead we can focus on dealing with those challenging emotions in an appropriate way. Think of your emotions as being like the weather. Sometimes it’s a sunny day without a cloud in the sky, sometimes it’s overcast and cold, sometimes it’s stormy and dark. Most of the time the weather is changeable. So it is with your emotions. Sometimes you’re happy and playing with ease and freedom. Sometimes you feel flat and out of sorts. Other times you’re struggling with dark and difficult feelings on court. Very often you experience changeable and various emotions during the course of a match. The lesson here is this: just as you can’t force the weather to change, in a tennis match you can’t force your emotions to change. Interfering with your emotions and trying to change them can get you into trouble. Just as shouting at a stormy sky because you want it to be sunny will not change the weather, so arguing with yourself, or trying to talk or think your way out of a bad mood or unwanted feeling will not work. In fact it exacerbates the problem, focussing your mind more on the unwanted feeling, and less on the present moment and the match itself. Crucially, trying to think your way out of difficult emotions on court increases the amount of cognitive activity in the mind. This unnecessary thinking makes it hard to get into the zone, that state of flow in which you play with intuition and ease. Remember that when you’re playing in the zone you’re not thinking a lot – you’re in a deep state of presence where thinking is either minimal or non-existent. Trying to deal with difficult emotions by thinking about them or ‘working them out’ is generating more thinking, just at the time when you need to be thinking less! There are also practical reasons why trying to think your way out of unwanted emotions on court doesn’t work. You simply don’t have time! You have at most a minute on the changeover or between points. This should be a time for rest, maintaining composure, and perhaps a little strategic planning (ie. where to serve). This time should not be wasted on interfering with emotions. So, we can’t control emotions. And thinking about them on court doesn’t help us either. In order to deal effectively with emotions, you have to learn to leave them alone, and then refocus on the match. In short, we have to learn to do nothing with our emotions. Sounds like it should be easy, but most players instinctively want to meddle with unwanted feelings and try to banish them. You have to train yourself not to do this. You need to learn to notice your emotions, then let them be there, then refocus on the present moment. One of the most efficient ways of learning this is by training in tennis-specific mindfulness. Mindfulness trains us to be present and focused. It enables players to maximize their potential in every match, whatever their emotional experiences are. It helps players overcome nerves, choking, anger and frustration. It enables players to play with ease, freedom and intuition. When we give up on trying to control our emotions on court, we open up the door to a new, more effective way of playing the game. This entry was posted in Tennis Emotions, Tennis Psychology and tagged anger, emotions, nerves, tennis psychology on December 19, 2017 by admin. The key to avoiding choking in a tennis match is to learn how to stop battling with nerves and other difficult thoughts and emotions. The process of choking begins when we respond unhelpfully to the worries and feelings that often occur when we’re in the lead. Instead, we should recognize those thoughts and feelings for what they are – an inevitable human response to the situation we are in. These thoughts and feelings may be inevitable, but they don’t have to guide how we perform in a match. Choking is not caused by the presence of difficult thoughts or emotions. It’s caused by how we respond to them. If we respond to those thoughts and emotions by thinking about them, or by trying to work them out, then we are contributing towards the choking process. Choking is like a snowball gradually being rolled across the ground. At first the snowball is small and insubstantial. It needs to be packed with a few layers of snow to stop it disintegrating. As you roll it through the fallen snow on the ground it picks up more and more snow, which gets impacted on the surface, making the ball bigger and more solid. After a while the ball is huge and if left alone will probably take hours to melt. Something insubstantial that would have melted away into nothing became large and substantial because of your input. The choking process is the same. At first, all it consists of is a few thoughts and a few feelings. Perhaps you think ‘I could lose this’ or ‘It will feel so good to win this!’. Maybe you feel a burst of nervous tension in the stomach or arms. If you could disengage from these feelings at this point, the potential choke would remain insubstantial like a small snowball left alone on the ground to dissolve. But that’s not what happens for most players who struggle with choking. Instead, they keep rolling the snowball until it has gathered so much size and weight that it completely overwhelms them. Rather than leaving those initial experiences (the troubling thought, the anxiety (link), the sensations in the body) to dissolve, the player responds to those experiences with thinking and self-examination. The thought is interpreted as a premonition of defeat. The unpleasant feelings are interpreted as confirmation that the feared outcome is really happening. The fact that your arms are shaking or your stomach is full of butterflies is taken as proof that something is going wrong. A vicious circle develops. The more you think about those thoughts and feelings, the more they occur. As this happens, your concentration begins to slip. You make poor choices during rallies. You play too defensively, or go for too much. You drift from your game plan. You lose confidence in your shots. Crucially, you become tired as mental energy is spent on managing the choking process inside your head, rather than on the match itself. The results are never pretty, and the post-match feeling after a choke is one of the worst any athlete can experience. Choking can hurt so badly that many players who struggle with it consider quitting tennis. Fortunately, it’s possible to eliminate choking from your game in a relatively short period of time. The key is to learn how to short-circuit the process of choking. Consider what it would be like if you could prevent the vicious circle of choking from ever forming. Think about how it would feel if you could simply leave the initial troubling thoughts and emotions alone, and refocus on the match. The first step in overcoming choking is to accept that it’s normal to have distracting thoughts in a match when you are in the lead. You should expect to experience thoughts like ‘I could lose this match’, or ‘It’ll feel so good to win this match’. You also need to accept that it’s normal to feel a range of distracting emotions alongside these thoughts, such as anxiety, and elation or excitement at the prospect of winning. The difference between choking and not choking lies in your ability to disengage from these thoughts and emotions. The thoughts and emotions are not to be pushed away or fought with. Instead they need to be noticed and accepted. Just let them arise and pass in the mind and body as they will. Acceptance frees you to refocus on the task in hand. Of course, this is easier said than done. Choking can’t be banished overnight. However, with the right mental training you can get to a stage where you will never choke again. It will become a habit to notice difficult thoughts and feelings on court, and then refocus on the next point. As a starting point, next time you feel the early stages of a choke coming on, take a short pause between points, notice the thoughts, notice the feelings. Then focus on your breathing for a few seconds, tuning into the sensations in your nose or belly. Then bring your attention back to preparing for the next point. This is a basic way of beginning to interrupt the vicious cycle of choking. Learning how to consistently disengage from unhelpful thoughts takes practice, and there are a range of tennis-specific mindfulness exercises which can help you get there. This entry was posted in tennis choking and tagged choking, nerves, tennis psychology on December 7, 2017 by admin. Struggling with nerves during tennis matches is one of the most common problems that new coaching clients ask me to help them with. Like all difficult emotional experiences in tennis, nerves can be overcome, and soon you’ll be able to maintain a high performance level whatever pressures you experience on court. I’m going to explain how you can beat nerves and play with freedom, even on the big points. Nerves can manifest in many ways in tennis. The battle with nervousness can start well before a match for many players. The moments before going on court in a tournament are a nervous time for almost all players. Even the mighty Rafael Nadal gets so nervous before matches that he has to go to the bathroom sometimes up to five or six times. Many factors can play on your mind before a match. For example, fear of failure; intimidation at facing a strong opponent; worry about making mistakes in front of spectators; and sometimes fear of letting down a coach, team or family. These fears lead to tension in the muscles, and other unpleasant sensations, such as butterflies in the stomach and trembling. Nerves can also make it hard to concentrate and some players can feel spaced out and tired even before striking a ball. For other players, nerves are confined to the big points, or to situations like serving for the set or match. Moments of pressure in a match can turn some players’ legs and arms to jelly, send their minds racing and disrupt their concentration. How many times have you seen elite players wilt under pressure when facing a match point, or relinquish a lead because the pressure got to them? It’s a common problem for tour professionals as much as for beginners. Some players feel nervous and self-conscious about particular shots. This can lead to avoidant, defensive play or a loss of swing power. Again, you can observe this phenomenon at times at the top of the professional game. Consider Andy Murray’s second serve which can lose power when he’s nervous, or Novak Djokovic’s overhead which can let him down when the pressure’s on. Some players struggle with a more general sense of nervousness in a match, which can seep into everything they do. This pervasive performance anxiety can become overwhelming. Some players, including elite players, end up quitting the game because of this. The first thing to accept about nerves in tennis is that they are normal and unavoidable. That’s one reason why I’m including references to top professionals in this article. Nerves are an inherent part of the game. Everyone feels them, including the very best players in the world. There is nothing wrong you if you feel nervous at multiple points in a match. The very structure of a tennis match makes nerves inevitable. The unique scoring system repeatedly creates pressure points where one player is poised to take all, the other to lose all. If you’re match point up or down you can’t avoid being aware of what’s at stake. That knowledge will make you nervous, at least to some extent. The tighter the match, the more intense the nerves. This is a natural reaction to a stressful situation. As with all emotional experience on court, the problem is not the emotion, but how we respond to the emotion. Players who struggle with nerves (and most players do to some extent) are responding to their nerves in unhelpful ways which exacerbate the problem. They tend not to accept nerves as normal, and instead feel that nervous feelings need to be banished or resolved in some way. For example, some players respond to nerves by talking to themselves, internally or out loud, perhaps trying to rationalize the anxiety away or soothe themselves with affirmations. They may also get distracted by the unpleasant sensations in the body which occur with anxiety. This approach is counterproductive for a number of reasons. When we feel nervous, what we need to be able to do is maintain concentration and stay present. We have to be alert and ready to play the next point. By engaging with nerves, by trying to ‘work them out’ or even comfort ourselves, we are taking the mind out of the present moment and generating unnecessary mental activity. As though the experience of nerves wasn’t enough, we are adding fuel to the fire with our attempts to lessen our nervousness. The only sustainable way to deal with nerves is to leave them alone. Allow yourself to be nervous. It’s normal and you can’t avoid it. You need to learn how to notice your anxious feelings without responding to them, and then refocus on the task in hand. I use a wide range of tennis-specific mindfulness practices with my clients to help them overcome nerves and maximize their ability to stay focused on the big points. It takes practice, but with consistent practice over a number of weeks, you can develop a sense of complete comfort with nerves. You can develop a newfound ability to play with freedom and courage. You’ll relish the big points, rather than fearing them. This entry was posted in Tennis Nerves, Tennis Psychology and tagged mental training for tennis, nerves, tennis psychology on December 1, 2017 by admin. The best way to control feelings of anger in a tennis match is to stop trying to control your anger. The best course of action is no course of action! It may sound counterintuitive, but doing nothing is the best way to deal with your temper on court. By doing nothing, I don’t mean you should continue doing what you usually do when you feel angry. Usually, you respond to your feeling of anger with thinking and self-analysis. You get involved with your anger. You take it seriously. You justify your temper, believing that you need to respond to it in order to work it out, or get rid of it. Perhaps you swear, or throw your racket, or berate the umpire, or curse your opponent. Most likely, you curse yourself, either out loud or in the silence of your thoughts. That’s right, for most players, anger is directed inwards. We lash out at ourselves, with self-criticism and other unhelpful patterns of thought. But what if you could just let go of anger, even welcome those uncomfortable feelings? The first step is to acknowledge that anger itself is not the problem. The problem lies in how we respond to anger. Anger is a normal human emotion that all players will experience in tennis, sometimes multiple times in a match. We should expect to feel angry sometimes in tennis. It’s a demanding sport with a scoring system that constantly puts us on edge, with one player poised to take all, the other to lose all. We’re not rewarded proportionately in tennis. We can win plenty of points in a game, but still lose it with nothing to show for our efforts. We have to win the right points at the right time. This explains why tennis is such a psychologically challenging game, and why so many players struggle with anger and lose their temper. If you meddle with and respond to your angry feelings, then you’re adding fuel to the fire. There’s no time in a match to try to talk yourself out of being angry. The very act of trying to do this adds a layer of unnecessary thinking into an already overactive mind. Likewise, acting out your anger by throwing your racket or shouting, apart from being embarrassing, is often counterproductive. Sometimes it may bring temporary relief, but over time it exacerbates the problem, making angry episodes more likely. This happens because the behavior reinforces the emotion, effectively encouraging it. A more sustainable approach to anger management in tennis is to learn to leave anger alone and let it subside naturally. This is hard because the emotional purpose of anger is to prompt an action. Anger is useful if we are being physically attacked or need to motivate ourselves to resolve a problem or a social injustice. Anger is not very useful in tennis, where a sense of deep concentration and calm are key drivers of success. Sure, a ball struck in anger might sometimes result in a blistering winner. But more often than not an angry shot will miss the mark. John McEnroe is a great example of how anger impedes a tennis player. McEnroe admitted in his autobiography ‘Serious’ that anger hindered rather than helped him on court. Despite occasionally playing well after an angry outburst, in general it led to a decline in form. He is clear that he would have been an even better player if he had been able to deal more effectively with his temper. Fortunately there’s a lot we can do to improve our relationship with anger. I’ve written before about an exercise which will help you to overcome anger on the tennis court. This practice teaches you the importance of noticing and acknowledging anger – and then redirecting your attention. The power of this exercise is enhanced substantially if you have already developed a range of tennis-specific mindfulness skills off court. For this reason I teach my clients a broad repertoire of foundational and concentration-based mindfulness skills, as well as on court practices. I also encourage players to notice when anger arises in their lives outside of tennis. While anger sometimes has its uses in everyday life, there are also many times when anger is unhelpful. When an unhelpful feeling of anger pops up, acknowledge it, notice what it feels like in the mind and body. Practice being with that feeling without responding to it with an action. Remind yourself that this is a process of mental training. You don’t have to be on court to practice this, or even in a tennis situation at all. Finding a new and more productive way of dealing with anger is liberating. It feels great not to be a slave to an emotion, when that emotion is leading you down a problematic path. It feels great to relax into whatever your mind throws at you during a match – that’s what mental toughness in tennis really means. It feels great to be a resilient, self-sufficient tennis player. It feels great to be truly focused and present on court. Above all, dealing better with anger during matches will lead to much better results, and greater enjoyment of match play. This entry was posted in Tennis Anger, Tennis Psychology and tagged mental training for tennis, tennis anger, tennis psychology on December 1, 2017 by admin. Mental toughness in tennis is not about ‘being tough’ in the traditional sense. Toughness on court is not primarily about showing grit, determination, or courage, though all of these can be useful at times. Rather, the mentally toughest tennis players adopt a gentle, light approach to their mental experience on court. They are able to deal with the inevitable difficult emotions, pressures and events of matchplay with a sense of measured internal calm. A tennis match contains multiple mini-Triumphs and mini-Disasters. How we respond to those triumphs and disasters determines whether we play to our full potential or not. Mental strength means not getting carried away by our experiences during a match, whether good or bad. It means staying focused on what’s happening right here, right now. We need to aim, as Kipling suggests, to respond with equanimity to whatever happens to us in a match. We may have hit a fine winner and experienced an exhilarating rush as a result. We still need to refocus immediately on the next point. We may have hit a short ball into net and missed an open court. We still need to concentrate with full attention on the next point. So, how do we treat triumph and disaster ‘just the same’ on court? It’s not by being tough with ourselves. The tougher we are to ourselves in our minds during a tennis match, the harder it is to find the ease, freedom and flow that we need to play our best. Instead, we have to adopt a light mental touch. We need to develop an ability to notice our triumphs and disasters on court, accept them and move on quickly. In a sense, we need to be soft not tough. We need to be able to relax quickly, whatever is going through our mind. This is the psychological skill that all the great champions have. This might, at first, seem counterintuitive. You might think that you have to try hard mentally in order to perform well in tennis and to control your emotions on court. You might believe that you need strict mental discipline to maintain concentration during a match. But ask yourself this: when you’re playing your best, when you’re in the zone, are you trying hard mentally? Are you being ‘tough’? No. You’re actually in a state of deep flow and relaxation. You’re not consciously doing anything much with the mind. You’re in the moment. Right here, right now. Ever notice what it feels like to make a mistake when you’re playing in the zone? It doesn’t feel like much at all. We simply accept the mistake and move on. We have an inner confidence, an inner peace which knows that the mistake is not meaningful. Likewise, when we’re in that flow state, hitting winners might bring us a rush of positive emotion, but we don’t get distracted by those feelings. We just let them be and move on. This is real mental toughness. But we don’t need to be playing in the zone to experience this mental approach to tennis. Anyone can learn how to treat triumph and disaster just the same on court. The key is to regularly practice noticing what’s going through our minds. The key is to regularly practice allowing our experience to be as it is, without interfering with it or trying to change it. The key is to regularly practice refocusing the mind on the present moment, on what’s happening right here, right now. The more you try to interfere with your mental experience on court, the less calm, focused and mentally tough you’ll be. The more you engage with emotions on court, whether positive or negative, the more distracted you will become. The truly mentally tough mind is a mentally soft mind. Understanding this is an essential part of mastering the mental game of tennis. This entry was posted in Mental Toughness, Tennis Psychology and tagged mental strength, mental toughness, tennis mental game, tennis psychology on November 30, 2017 by admin.